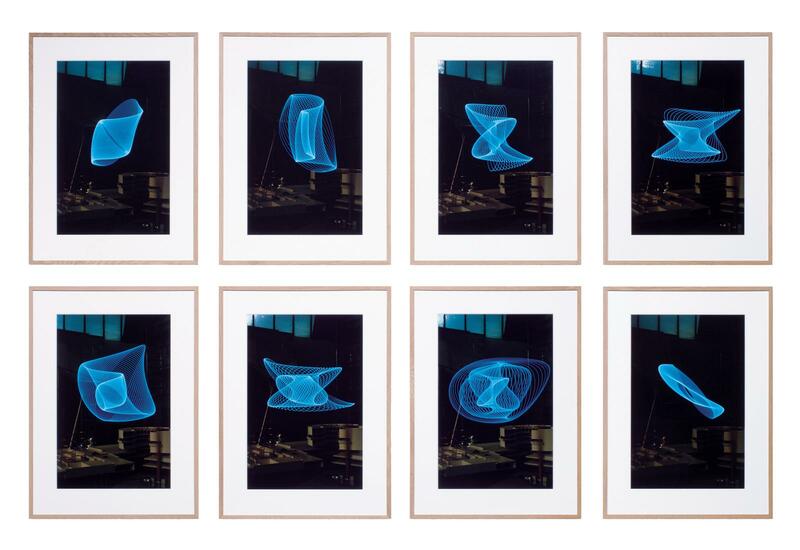 The series comprises a selection of photographs showing the three-dimensional drawings of a harmonograph, recorded through long-exposure photography. The harmonograph consists of three pendulums, set in motion and moving along three different axes, the ends of which are connected at one point by hinged arms. Situated at this point is an LED light, which gyrates as a result of the movement. 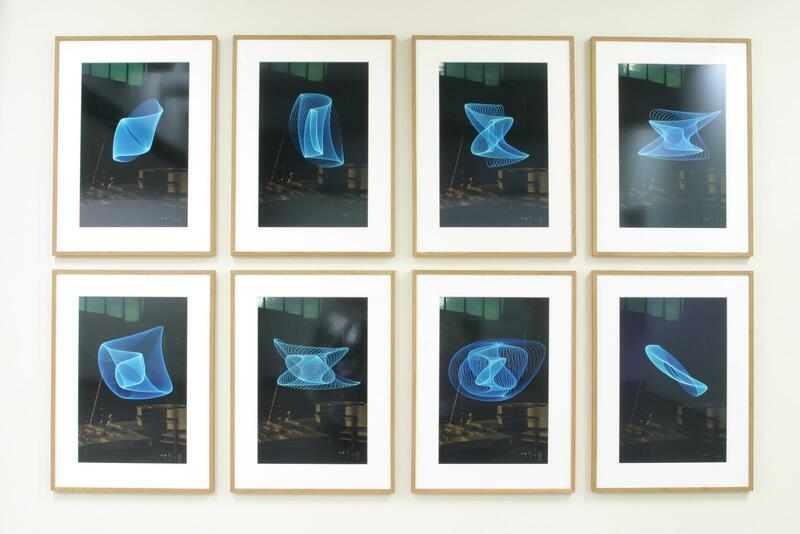 An infinite range of three-dimensional line drawings can be produced that reflect the rhythms of the pendulums.